The Azar story begins in 1907, with the opening of Shibley Azar’s small nut and candy store in El Paso, Texas—the heart of the country’s best pecan groves. Shibley grew his pecan shelling and packaging business into one of the premier nut companies in the world. His philosophy was simple: to make the best products possible and back them with excellent customer service. More than 100 years later, Azar has evolved to combine the company’s original entrepreneurial spirit with added packaging and processing capabilities. 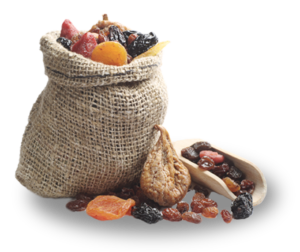 We market and distribute more than 600 national, private label and signature brand items, including raw nuts, roasted and further processed nuts and snack mixes, hard candy, peanut butter and dried fruit. Our best-in-class practices bring product and menu solutions to such foodservice channels as restaurants, healthcare facilities, hotels and schools. The nuts and bolts of our capabilities. Let Azar’s in-house manufacturing, culinary innovation and R&D capabilities work to your advantage. We efficiently roast, blend, can and bag nuts and snacks on-site, working with national distributors to deliver our products to operations across the country. For qualifying operators meeting volume requirements, we can customize formats and on-trend flavors to your exact specifications. El Paso, Texas is home to Azar Nut Company, our 200,000 square foot SQF 2000 Level 3 Certified facility. 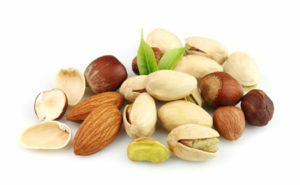 Here we process a broad line of packaged nuts (including pecans, walnuts and almonds), bulk foodservice items (sunflower seeds, mints and trail mixes), private label items and Azar-branded nuts for the retail market. The latest exciting additions to our facility include a state-of-the-art peanut butter room and an organic chocolate room. Sunrise Confections—located in Juarez, Mexico—is a world-class manufacturer of sugar-based confections. Our plants produce hard candies such as starlight mints and butterscotch disks, along with soft candies including orange slices, spice drops, jelly beans and gummies. 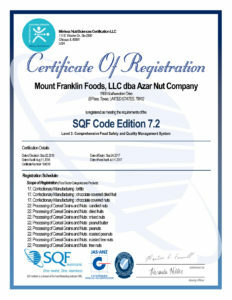 Azar and Sunrise Confections are divisions of Mount Franklin Foods, LLC. Quality, consistency and uncompromising service—the total package! Our commitment to the highest standard of quality shows in every aspect of our business, especially when it comes to food safety. Mount Franklin Foods offers contract manufacturing of candy and nut products to customers meeting volume requirements. Whether you need to become more competitive in a global market or are seeking extra production capacity, depend on us to deliver low-cost solutions with superior customer service. For more information about our contract manufacturing capabilities, please contact Curtis Whetten at 915-877-1137.